Winter Goddess Foods: 45 uses for Lemons that will blow your socks off! 45 uses for Lemons that will blow your socks off! I am convinced that the earth provides us with everything we need to be healthy and happy in our lives. Plants, herbs and fruit among other things are readily available to be used and enjoyed to make us feel better, and help make daily living easier. All we need to do is learn about them and put the information to good use. With that in mind, I happened to see this article about the 45 uses for Lemons on Facebook and was blown away! So I decided to share it with you all today. I invite you to try them all, and see for yourself! 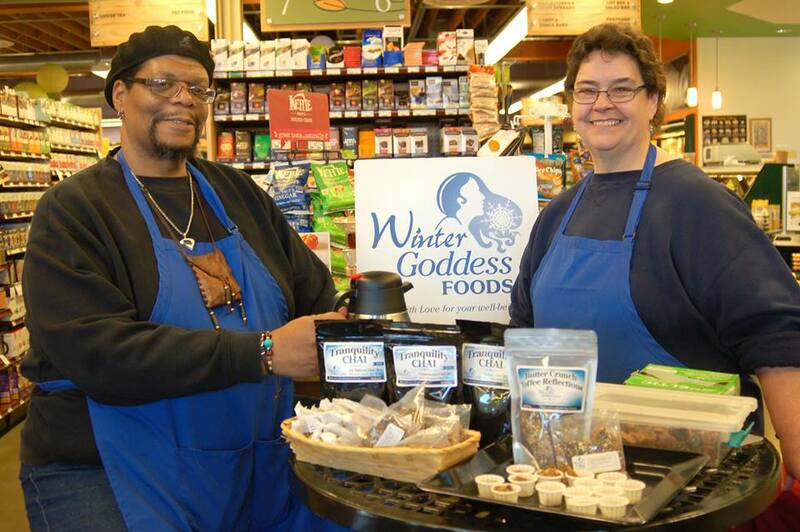 Special thanks to nutritionist, and herbologist John Summerly for writing this article which was originally posted on the website www.Trueactivist.com. Most people are familiar with the traditional uses for lemons to soothe sore throats and add some citrus flavor to our foods. However the diversity of applications for lemons far exceeds general knowledge and once you read the following list, you’ll likely want to stock at least a few lemons in your kitchen 24-7. Remove refrigerator odors with ease. Dab lemon juice on a cotton ball or sponge and leave it in the fridge for several hours. 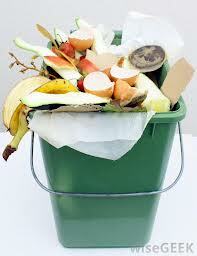 Make sure to toss out any malodorous items that might be causing the bad smell. Lemon contains potassium which controls high blood pressure and reduces the effect of nausea and dizziness. Cauliflower tend to turn brown with even the slightest cooking. You can make sure the white vegetables stay white by squeezing a teaspoon of fresh lemon juice on them before heating. Lemon water can also prep up your mood and relieve you from depression and stress. Long distance walkers and world travelers as well as explorers look upon the lemon as a Godsend. When fatigue begins, a lemon is sucked through a hole in the top. Quick acting medicine it is, giving almost unbelievable refreshments. No wonder your kitchen cutting board smells! After all, you use it to chop onions, crush garlic, and prepare fish. To get rid of the smell and help sanitize the cutting board, rub it all over with the cut side of half a lemon or wash it in undiluted juice straight from the bottle. Lemon water can reduce phlegm; and can also help you breathe properly and aids a person suffering with asthma. Lemon is a diuretic – assists in the production of urine which helps you to reduce inflammation by flushing out toxins and bacteria while also giving you relief from arthritis and rheumatism. Regular consumption of the refreshing drink — or even lemon juice mixed with water — may increase the production of urinary citrate, a chemical in the urine that prevents the formation of crystals that may build up into kidney stones. You don’t need insecticides or ant traps to ant-proof your kitchen. Just give it the lemon treatment. First squirt some lemon juice on door thresholds and windowsills. Then squeeze lemon juice into any holes or cracks where the ants are getting in. Finally, scatter small slices of lemon peel around the outdoor entrance. The ants will get the message that they aren’t welcome. Lemons are also effective against roaches and fleas: Simply mix the juice of 4 lemons (along with the rinds) with 1/2 gallon (2 liters) water and wash your floors with it; then watch the fleas and roaches flee. They hate the smell. Lemon water reduces the production of free radicals which are responsible for aging skin and skin damage. Lemon water is calorie free and an antioxidant. You never know what kind of pesticides or dirt may be lurking on the skin of your favorite fruits and vegetables. Slice your lemon and squeeze out one tablespoon of lemon juice into your spray bottle. 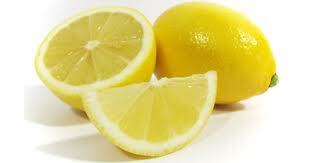 The lemon juice is a natural disinfectant and will leave your fruits and vegetables smelling nice too. Lemon water can fight throat infections thanks to its antibacterial property. If salt water does not work for you, try lime and water for gargling. If your garbage is beginning to smell yucky, here’s an easy way to deodorize it: Save leftover lemon and orange peels and toss them at the base under the bag. To keep it smelling fresh, repeat once every couple of weeks. 14. Keep Guacamole Green You've been making guacamole all day long for the big party, and you don’t want it to turn brown on top before the guests arrive. The solution: Sprinkle a liberal amount of fresh lemon juice over it and it will stay fresh and green. The flavor of the lemon juice is a natural complement to the avocados in the guacamole. Make the fruit salad hours in advance too. Just squeeze some lemon juice onto the apple slices, and they’ll stay snowy white. We consume a lot of junk food or food with a lot of preservatives and artificial flavours. This builds up a lot of toxins in the blood and body but daily consumption of lemon water helps to purify the blood. Don’t toss that soggy lettuce into the garbage. With the help of a little lemon juice you can toss it in a salad instead. Add the juice of half a lemon to a bowl of cold water. Then put the soggy lettuce in it and refrigerate for 1 hour. Make sure to dry the leaves completely before putting them into salads or sandwiches. Why buy expensive creams when you’ve got lemon juice? To lighten liver spots or freckles, try applying lemon juice directly to the area. Let it sit for 15 minutes and then rinse your skin clean. It’s a safe and effective skin-lightening agent. For salon-worthy highlights, add 1/4 cup lemon juice to 3/4 cup water and rinse your hair with the mixture. Then, sit in the sun until your hair dries. To maximize the effect, repeat once daily for up to a week. Freshen and moisturize the air in your home on dry winter days. Make your own room scent that also doubles as a humidifier. If you have a wood-burning stove, place an enameled cast-iron pot or bowl on top, fill with water, and add lemon (and/or orange) peels, cinnamon sticks, cloves, and apple skins. No wood-burning stove? Use your stovetop instead and just simmer the water periodically. Pamper your hands without a manicurist. Add the juice of 1/2 lemon to 1 cup warm water and soak your fingertips in the mixture for 5 minutes. After pushing back the cuticles, rub some lemon peel back and forth against the nail. 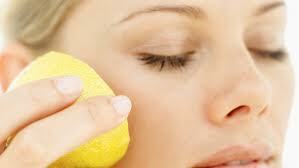 Zap zits naturally by dabbing lemon juice on blackheads to draw them out during the day. You can also wash your face with lemon juice for a natural cleanse and exfoliation. Your skin should improve after several days of treatment. Lemon water is also a cooling agent, best way to beat the heat. Make an impromptu mouthwash by rinsing with lemon juice straight from the bottle. Swallow for longer-lasting fresh breath. The citric acid in the juice alters the pH level in your mouth, killing bacteria that causes bad breath. Rinse after a few minutes because long-term exposure to the acid in lemons can harm tooth enamel. If itchy, scaly dandruff has you scratching your head, relief may be no farther away than your refrigerator. Just massage two tablespoons lemon juice into your scalp and rinse with water. Then stir one teaspoon lemon juice into one cup water and rinse your hair with it. Repeat daily until your dandruff disappears. It sure was fun to pick your own berries, but now your fingers are stained with berry juice that won’t come off no matter how much you scrub with soap and water. Try washing your hands with undiluted lemon juice, then wait a few minutes and wash with warm, soapy water. Repeat until your hands are stain-free. Itchy elbows are bad enough, but they look terrible too. For better looking (and feeling) elbows, mix baking soda and lemon juice to make an abrasive paste, then rub it into your elbows for a soothing, smoothing, and exfoliating treatment. Rinse your extremities in a mixture of equal parts lemon juice and water, then massage with olive oil and dab dry with a soft cloth. Lemon juice with a few teaspoons of hot tea added is the treatment of a sophisticated New York bartender, for those who suffer with hangover headaches–and from headaches due to many other causes. He converts his customers to this regime, and weans them away from drug remedies completely. 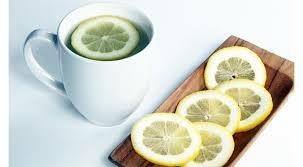 Chills and fevers may be due to a variety of causes; never the less the lemon is always a helpful remedy. Spanish physicians regard it as an infallible friend. Skip the vaccine for this disease. Lemon Juice Treatment still proves as one of the most powerful antiseptics and the strong digestive qualities of the fruit are admired around the world. With the juice every hour or two, and at the same time, 1/2 to 1 tsp. should be swallowed. This cuts loose the false membrane in the throat and permits it to come out. Diluted lemon juice makes a safe and sane method of vaginal hygiene. Though it is a powerful antiseptic it is nevertheless free from irritating drugs in douches and suppositories. A charming French custom to keep closets free from moths is to take ripe lemons and stick them with cloves all over the skin. 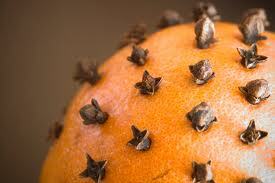 The heavily studded lemons slowly dry with their cloves, leaving a marvelous odor throughout the closets and rooms. Digestive problems are the most common ailments but warm water and lime juice is the solution to most digestive problems. Lemon juice helps to purify the blood, reduces your chances of indigestion, constipation, eliminates toxins from the body, adds digestion and reduces phlegm. 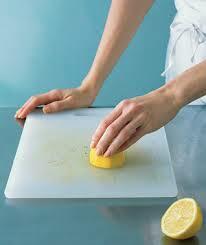 Stop bleeding and disinfect minor cuts and scraps by pouring a few drops of lemon juice directly on the cut. You can also apply the juice with a cotton ball and hold firmly in place for one minute. You won’t need an ocean of calamine lotion the next time poison ivy comes a-creeping. Just apply lemon juice directly to the affected area to soothe itching and alleviate the rash. You've tried countless remedies to banish warts and nothing seems to work. Next time, apply a dab of lemon juice directly to the wart using a cotton swab. Repeat for several days until the acids in the lemon juice dissolve the wart completely. Avoid additional bleach stains by swapping ordinary household chlorine bleach with lemon juice, which is milder but no less effective. 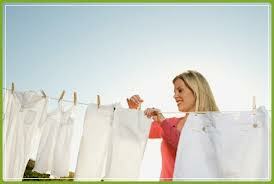 Soak your delicates in a mixture of lemon juice and baking soda for at least half an hour before washing. Say good-bye to tarnish on brass, copper, or stainless steel. Make a paste of lemon juice and salt (or substitute baking soda or cream of tartar for the salt) and coat the affected area. Let it stay on for 5 minutes. Then wash in warm water, rinse, and polish dry. Use the same mixture to clean metal kitchen sinks too. Apply the paste, scrub gently, and rinse. Get rid of mineral deposits and polish chrome faucets and other tarnished chrome. Simply rub lemon rind over the chrome and watch it shine! Rinse well and dry with a soft cloth. Ditch the expensive dry-cleaning bills (and harsh chemicals) with this homegrown trick. Simply scrub the stained area on shirts and blouses with equal parts lemon juice and water. Your “pits” will be good as new, and smell nice too. For more powerful cleaning action, pour 1 cup lemon juice into the washer during the wash cycle. The natural bleaching action of the juice will zap stains and remove rust and mineral discolorations from cotton T-shirts and briefs and will leave your clothes smelling fresh. Your clothes will turn out brighter and also come out smelling lemon-fresh. Have you ever unpacked clothes you stored all winter and discovered some are stained with mildew? To get rid of it, make a paste of lemon juice and salt and rub it on the affected area, then dry the clothes in sunlight. Repeat the process until the stain is gone. There’s nothing cozier on a cold winter night than a warm fire burning in the fireplace â€” unless the fire happens to smell horrible. Next time you have a fire that sends a stench into the room, try throwing a few lemon peels into the flames. Or simply burn some lemon peels along with your firewood as a preventive measure. You don’t have to use an aerosol spray to neutralize foul-smelling cat-box odors or freshen the air in your bathroom. Just cut a couple of lemons in half. Then place them, cut side up, in a dish in the room, and the air will soon smell lemon-fresh. When your humidifier starts to smell funky, deodorize it with ease: Just pour 3 or 4 teaspoons lemon juice into the water. It will not only remove the off odor but will replace it with a lemon-fresh fragrance. Repeat every couple of weeks to keep the odor from returning. In addition to a general detoxifying diet, 2 tablespoons of lemon juice before each meal, and before retiring can reduce asthma symptoms. * If you do consume lemon peel, stick to organic lemons to reduce your pesticide exposure.